So how to choose the PAMM-account? Of course, it is necessary to carry out the analysis. Check candidates should be extremely careful and meticulously. So that after a few months, you don’t get an unpleasant surprise in the form of loss of your entire investment. » The first thing you need to pay attention is a graph of return to date. Alas, it does not accurately reflect how much really could get an investor, but in the end allows to make general conclusion about how it is traded a manager of PAMM account. 2051,7 is the profitability of this PAMM account. It is calculated from the beginning of the trade, not given rewards. As you can see, the investor can choose a time period on the monitoring page. This graph is will be quite enough for detailed analysis of the PAMM-account. First of all, you should assess the shape of the graph. Ideally it needs to grow from the lower left to the upper right corner of the chart, without jerking. After all, the steadily growing chart — a nice stable income, not a pack of validol in hand from jerking the line profitability down. Although, it is worth considering the style of trading each trader. Indeed, there are cases when a trader is trading in specific months during the year. This can be explained, alternatively, a period of particularly strong fluctuations of the currency market. In this case, invest the money wisely will be at the beginning of the motion graphics of profitability after its stagnation. In the end, the one thing is important, that the timetable of profitability grew steadily adhering to the same scenario. Because this will give the investor a small but a guarantee for its possible stability in the future. In fact, Forex trading that is based, because all the system trading is optimized referring to the chronicle of quotations, which, under ideal outcome, few would follow the same scenario. » Well, now imagine that the you have already analyzed the yield chart. The next step is acquaintance with the trader, that is, search information about it. Ask, why do you need to find information about the trader, when the schedule is consistently profitable? The answer is that it’s needed to understand that some traders are very sophisticated in the pursuit of profit, and make a goal to make money for their investors. Therefore, it is important to always explore “account’s forum thread” specifically selected PAMM trader (shown below), as well as has the manager (PAMM trader) any other PAMM accounts. A little note: Accounts which have a small size of invested capital (about 200$) with a small period, are probably a testing accounts. Really solid accounts remain open for several months and with more significant amounts. Unfortunately, many brokers do not store this kind of files. Sometimes it is very hard to find information about other PAMM accounts of a particular trader. And if you cannot find information about Forex trading, then left to settle for what is, and what schedules you previously selected broker. By the way, do not forget that you can contact directly with the trader on the forums or via private messages. He is a bad trader who does not answer to investors. It is a bad indicator of trust should think about the feasibility to trust my own money in the management of such person. » If you are lucky and you found a willing trader who is happy to support your contract and the previous conditions are acceptable to you, then you can safely proceed to the analysis of his system of trading. Under the system of trading should involve the whole set of rules and principles to be followed by the trader. It will include criteria for opening and tracking orders, consolidation of profit and losses, the General style of money management, and more. In simple words, it’s something that takes a trader to succeed in the long term. Sustainable success is impossible without systematic adherence to certain rules for trade, developed over time and accumulation of experience. Therefore what is important is that whether this kind of rules a trader or not. If the answer is no, then we can expect a colourful success and a greater likelihood of frequent losses. So how does a good trading system? Not everyone will be able to even minimally evaluate the system itself referring only official schedule of return of a PAMM account. In most cases, it well reveals the Manager with a Declaration (normally it is on the forum). But remember, never never never and again never be loud to guarantee excellent and stable yield. Do not rush to invest, relying on a beautiful short-term statistics and promises, because market fluctuations are often presented with bad surprises and opportunities that cannot be foreseen. Beware of those who guarantee earnings, because this is simply impossible. But speaking of risks, here is impossible without strict control. Here the trader is a big responsibility for entrusted management. According to this very important foot in the trading system. Of the foot will help truncate losses at an acceptable level. That fact is important when the PAMM manager specifies the maximum acceptable drawdown level. This level is established to avoid loss 100% the overall investment in case of force majeure. Determine the level of drawdown interval between the minimum (Low) and maximum (High) value for a certain period with accuracy to one day. 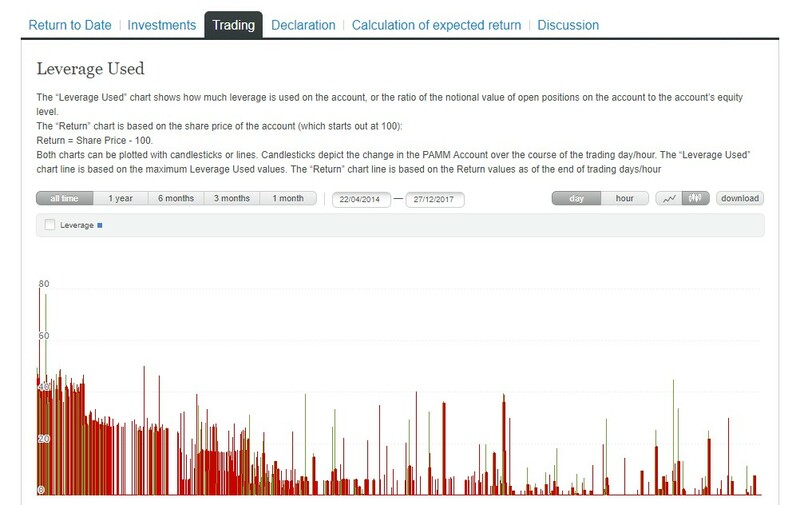 Maximum daily drawdown implies a maximum value of all losses for the day on the PAMM account. This information is not always possible to find on the forum, but in any case it should be in the official Declaration of the trader (as shown in the example below). 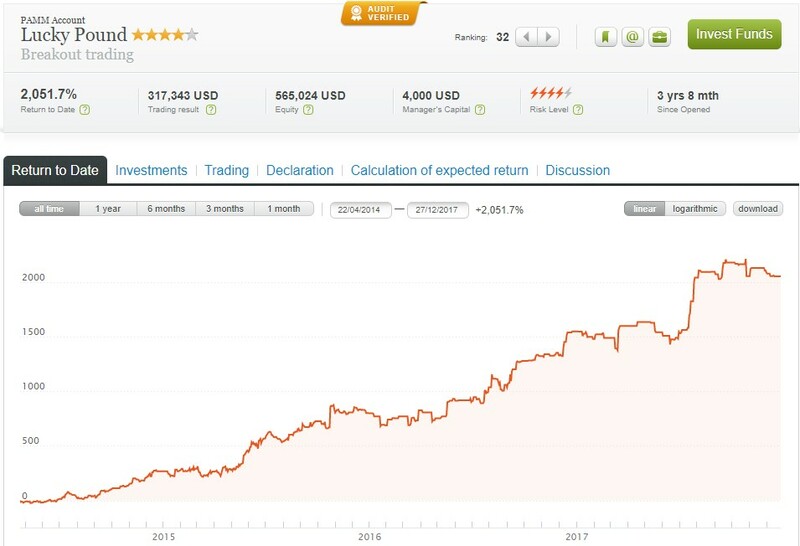 The type of trading system has a direct impact on the nature of the manager’s trading of a PAMM account, and consequently on the potential results that is really important for the investor. For this you will need graph of leverage. This information can be found in the section “Trading”. Here each column corresponds to one day. So, consider the columns themselves. Here the columns indicate that the trader uses intra-day strategy (this confirms 100% the use of stops). Regarding long-term strategies, the schedule will have a different shape without columns. In this case, all transactions will be permanently opened, in the so-called expectation of long-term success, with it itself leverage will not drop to 0% and vice versa to grow in the dips. — How long does this account exist? (longer is better). — What is its yield? (more is better). — What is its maximum drawdown? (lower is better). — Does chart of revenue move smoothly? (the sharp drop –is not good). — Does chart of load move smoothly ? (sharp jumps at certain moments – is a bad sign!). 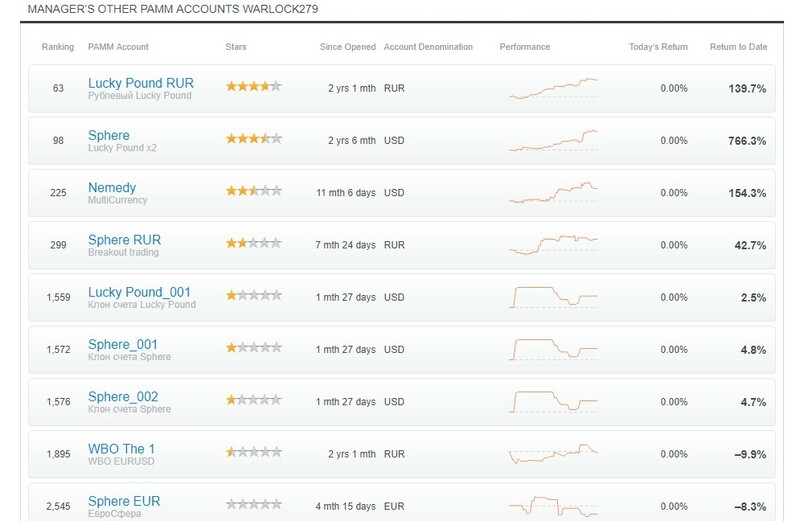 … First of all find out the trading system of choosen PAMM account. The graph may not always fully reveal the real picture. Before you rush to invest, analyze the parameters of the used trading system. … Withdraw of profit. Try to withdraw it fully or partially. It is, in fact, one of the simplest methods of reducing investment risks. The main objective here is to reduce the probable loss in the event of subsequent subsidence. In simple words, the investor must be guided by the principle of fixing the profit at the likely decline in its future growth. … Invest just as much as you ready to lose. … Remember that an expected rate of return may never be equal to the previously shown. … Invest in PAMM-account in subsidence. Not always the subsidence means that the account will be merged. Many investors do the opposite – investing at the peak of the yield and merge into the dips. Remember that subsidence cannot be avoided, and even even the most skilled traders face this. … Avoid the “honors”. Such are all those who shows highest profit for unrealistically short period of time. It is not the result of the professionalism of the trader, but only cheating and manipulation with own reputation. … Create and diversified a portfolio. Distribute risks by reasonably adding to the portfolio different assets. So that the reduction of the cost of one asset could be compensated by increasing of the other. 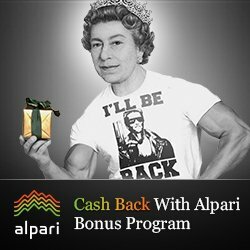 WANT TO INVEST IN PAMM ACCOUNT – USE A TRUSTED BROKER ALPARI!